Land has a story.People do too. For nearly three decades, our team has been driven to create places as special as the people who live in them. 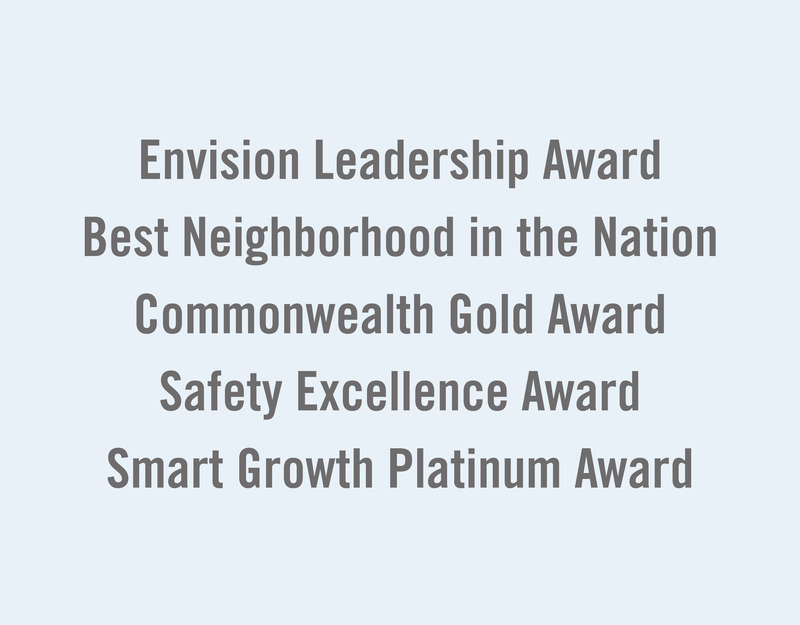 The result of all those years of creativity, learning, and hard work has evolved into what is known today as The Great American Neighborhood®. When it comes time to design the neighborhood, we listen to the story of the land and what came before, respecting preserved spaces and saving important historical and natural features. Next, we carefully design “the space between,” which includes gathering places like Terrapark®, the world’s first all-natural playground. Hundreds of trees, and interesting details like hand laid Belgian block curbing, pull it all together and give the neighborhood a sense of timelessness. In the center of the neighborhood we add Crossroads, a small collection of locally owned businesses along quaint tree-lined streets where neighbors can take a break and connect with friends to shop, eat, workout and relax just a few steps from their front door. Want To Know What Makes Us, Us? At Charter, we don’t just build homes - we are in the people business. 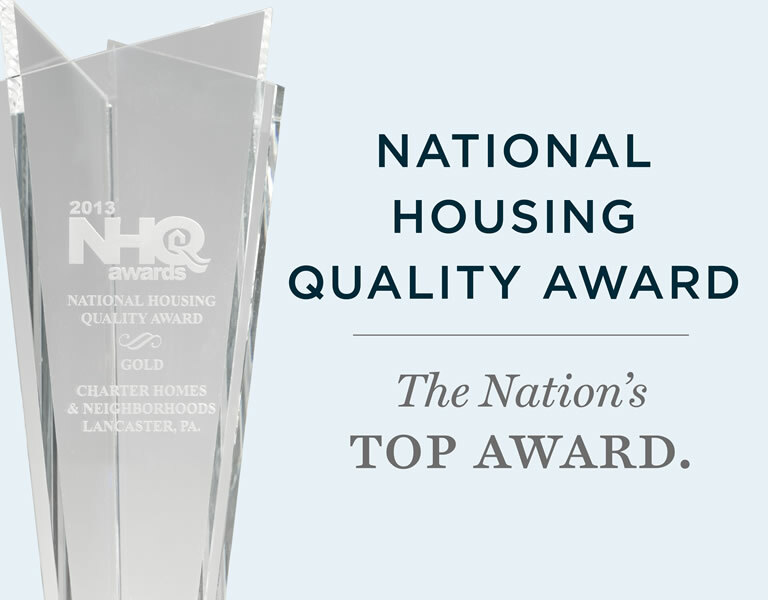 We work hard every day to put our homebuyers and neighbors first and are never satisfied with anything less. Our team is made up of the best people in the industry, all who share the same purpose and value the same promise. Together, ourCHARTER shares “what makes us, us,” guiding everything that we do. Over the past 25 years, we have focused on growing a great place to work that we can all be proud of, that helps us meet our personal goals, and that has a bright future. 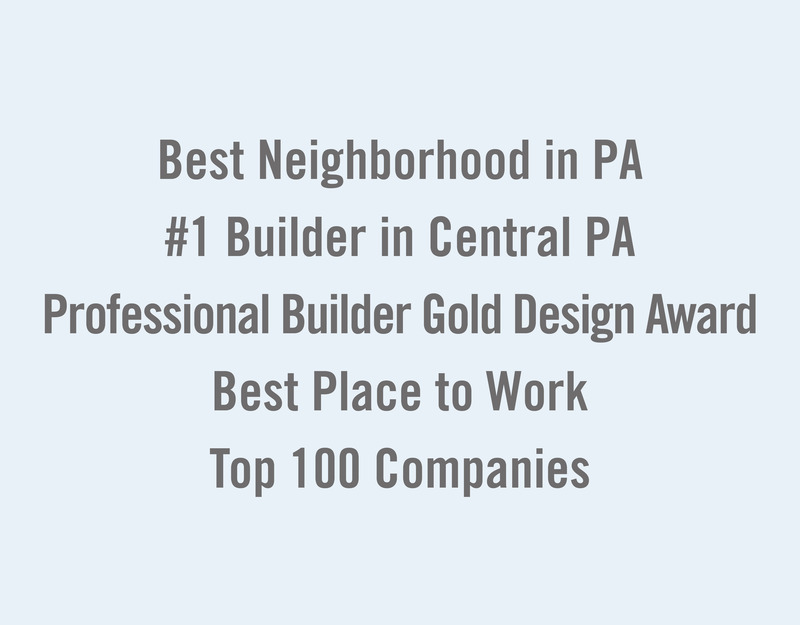 As a result, we have been recognized as a Best Place to Work in PA and Best Builder to Work for by Builder Magazine - but more importantly, we continue to grow a dynamic, professional, and fully engaged workplace filled with amazing people dedicated to making their mark in the lives of others. To ensure the best possible service and response, all requests are via email.